Not everyone wants to buy an aircraft and there have never been so many other options. Comparing companies that offer a variety of different products, from fractional ownership to club memberships, this beginner’s guide will help you decide which programme and company is best for you. XOJET Membership club CL300, Citation X.
VistaJet owns a fleet of Bombardier Challenger and Global aircraft. The advantage of this for its customers is that there is no need to buy a fraction of an aircraft and tie capital into a depreciating asset. Instead, VistaJet’s “The Program” allows customers to buy a block of hours, which provides guaranteed access to the fleet. VistaJet is well known for its luxurious standardised cabin interiors, meaning you always know what the aircraft will be like – a huge advantage over chartering aircraft. VistaJet is expensive, but it isn’t targeting budget business travellers. And you certainly get the luxury you pay for. VistaJet also charters its aircraft for one-off flights via its “On-Demand” programme, as well as providing access to empty leg charters for VistaJet aircraft through its “Direct” programme. 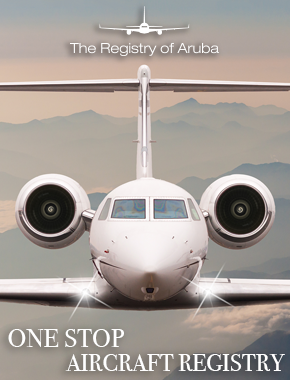 A major benefit of VistaJet is that you do not have to pay a repositioning fee – greatly reducing the per-hour cost. Zetta Jet offers a very similar product to VistaJet – whereby customers buy a block of hours to use on Zetta Jet’s aircraft. The Singapore-based company operates a fleet of 11 Bombardier Global and Challenger aircraft worldwide. It believes it offers the perfect blend of Asian inspired service, European Chic and American “can do” attitude. Like VistaJet, Zetta Jet also offers a charter product, allowing clients who do not fly enough to warrant buying a block of hours to experience the luxury offered on a per-flight basis. The company entered into Chapter 11 Bankruptcy protection in September 2017. Flexjet primarily focuses on fractional ownership, with a fleet ranging from Learjet 75LXis to G450s. One of Flexjet’s main advantages is its app – allowing users to manage their programme and quickly book flights. Flexjet also offers a jet card, which can be purchased in 25-hour increments and provides access to Flexjet’s fleet of Phenom 300 and Challenger 300 aircraft without the need to buy a fraction or have any contractual commitment. Another service offered is the lease programme, which is aimed at customers who want the advantages of fractional ownership without having to buy a share. You can sell back unused hours to other Flexjet customers or buy more hours if necessary. Flexjet has placed an order for 20 Aerion AS2 supersonic business jets, with deliveries due to start in 2023. NetJets is one of the most recognised names in aviation, due to its tenure and the financial backing of Warren Buffett. 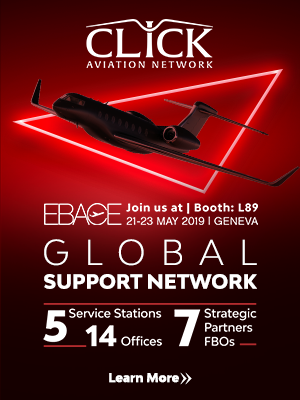 Most known for its fractional ownership programme, NetJets has a fleet of more than 700 aircraft globally – ranging from the Citation Encore to Bombardier’s Global 6000. A large fleet means that owners will almost certainly have an aircraft available, with only four hours’ notice required. Flights during major holidays, however, may require more notice. The fractional company does turn to outside charter companies when it runs out of aircraft – something that can happen, even with more than 700 aircraft. NetJets offers a leasing product as well, with customers able to lease an aircraft without owning the asset. The lease programme starts from 50 hours, with increases of 25 hours available. Fixed lease terms range from 24 to 60 months, and are available for any NetJets aircraft types. NetJets purchased Marquis Jet – a jet card programme provider – in 2010. Marquis Jet has been integrated into the business, allowing customers to purchase 25 hours on one aircraft type within the NetJets fleet. Wheels Up breaks away from the traditional mould of ownership programmes, adopting a club membership approach that allows customers to pay as they fly or via their pre-purchase programme. The one-time initiation fee is $17,500, with subsequent annual dues starting at $8,500. The pre-purchase programme allows users to buy a dollar amount of flight credit – ranging from $50,000 to $400,000. The (variable) flight cost is then deducted from your credit. The more you pay upfront, the more benefits you get, such as better guaranteed availability, improved peak day access, and slightly cheaper hourly rates. Flights require 24 hours notice to book – slightly longer than other programmes. Wheels Up also offers partner benefits, exclusive experiences, parties and a concierge service, through its Wheels Down brand. Surf Air has a different approach to business aviation – offering customers an individual seat rather than the whole aircraft. 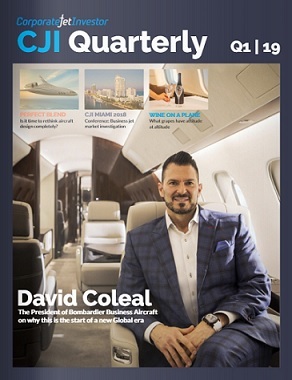 The Californian company brands its aircraft-sharing as a great networking opportunity for its customers. Others would argue it ruins the privacy that business aviation should provide. Surf Air is more like a private airline in the sense that users can only fly on scheduled routes between smaller airports and less congested airports, such as Oakland to Burbank. Although sharing an aircraft may put some people off, the price will not. A $1,000 initiation fee, and a monthly cost of between $1,950 and $2,950, allows customers to fly as much as they want. This makes Surf Air the cheapest way to use private aviation. The company has been growing rapidly – acquiring RISE, an all-you-can-fly competitor based in Texas – as well as launching their European operations in June 2017. Surf Air Europe adopts the same business model, but uses Phenom 300 aircraft instead of PC-12s. XOJET offers various alternatives to fractional ownership and jet cards with its two main categories of membership programmes: Access Solutions and XOJET Enterprise. Access Solutions has three tiers of membership options. “Select Access” is for customers who fly fewer than 25 hours a year, with “Preferred Access” being a suitable choice for customers flying more than 25 hours per year. The final programme is “XOJET Enterprise” – a service aimed at businesses to provide them with a bespoke flight programme – theoretically creating more cost-effective programmes. PlaneSense sells itself as the simple and easy way to fly, by offering a fractional ownership product based around PC-12 aircraft. The New Hampshire based company offers fractions of its identically-specified PC-12 and Nextant 400XTi aircraft. Fractions start at 1/16th and, when more than 5/16ths are owned, the owner is guaranteed access to two aircraft on concurrent trips. Customers can fly with only eight hours’ notice, and will also benefit from being the first passengers to fly on the PC-24 after PlaneSense becomes the first delivery customer at the end of 2017.